An interior must have some measure of creativity to ensure that it can withstand the test of time. There are certain designs and elements that never go out of fashion. Such pieces of furniture can be easily integrated into any kind of interior. Enjoy the timeless beauty of these amazing pieces that would enhance the beauty of your home to new heights. Comfort is one of the top priorities of homeowners when deciding on a couch or sofa. A perfect sofa would have abundant comfort paired with striking beauty. This beautiful sofa is a perfect example of elegance and comfort personified in a single design. The subtle shades of grey and unique shape of the sofa create a stunning design. The beautiful lines of the sofa please the eye and instill a sense of beauty and elegance. 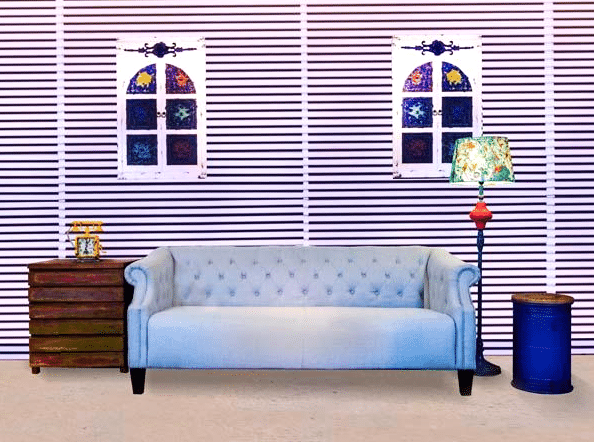 This beautiful sofa packed with elegance and beauty would be perfect for your home. Some designs exude warmth that enhances the comfort of the entire interior. This beautiful couch with simplistic design and creative look would beautify your home and provide you with optimum comfort. 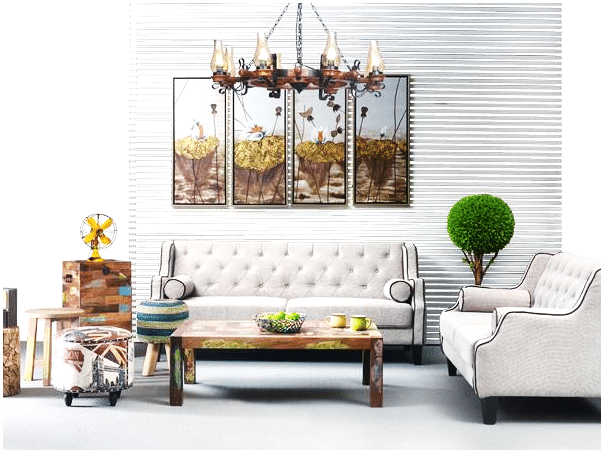 The beautiful patches of pattern incorporated into the sofa result in a unique look. This sofa paired with a delicate black table creates a stunning combo that would enhance and beautify your home. The shades of this amazing couch also complement the interior and add a sense of completeness into the interior. Travelling from the realms of elegance and subtle beauty we move on to the universe of bold and beautiful design. This elegant sofa captures the boldness of the interior and complements it with perfection. The unique faded look of the sofa adds to the look and creativity of the interior. The beautiful shapes of the couch enhance its look and complete the boldness of the interior. A Stunning piece of furniture that would beautify, enhance and electrify your home. A perfect arrangement of furniture is necessary to let their beauty and elegance come through. This beautiful interior displays an elegant sense of space and creative arrangement that results in an extraordinary look. 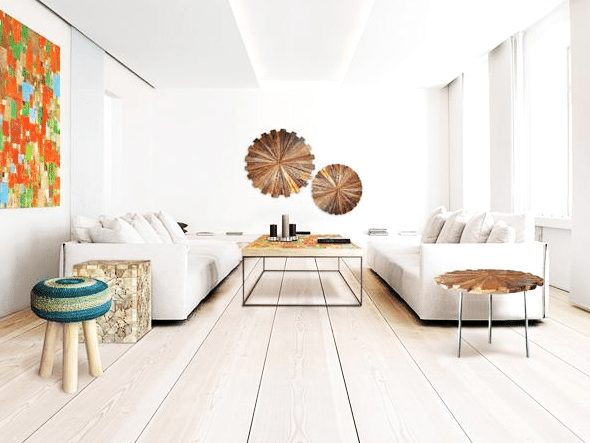 The beautiful sofas paired with creative tables create an absolutely stunning look. If you are seeking for some inspiration for your lounge then this design should be perfect for you. A set of beautiful furniture pieces arranged elegantly with amazing creativity. At the conclusion of this list we present a design that captures the true beauty and eccentricity of these amazing articles of furniture. The beautiful sofas complemented with rustic, creative and unique side table result in a staggeringly beautiful combo. The amazing arrangement of art pieces, walls, floor, and furniture results in a design that is cohesive and full of interesting elements. The furniture perfects the interior and creates an absolutely ravishing look.